Our range of limestone paving includes both Kota Blue Limestone and Kota Black Limestone and offers a stunning selection for those looking for the perfect way to transform their outdoor space. Unlike the riven look of sandstone, limestone paving has a flatter smooth finish akin to orange peel and is very consistent in depth, making it useful for use indoors as well as outdoors. Limestone paving is popular due to it’s ability to withstand the ever-changing British weather and the fact that it requires very little maintenance, thus making is an ideal choice for use across a range of different projects. For natural stone paving which offers you the best of both worlds, combining a stunning visual appeal and distinctive shades and colours as well as a strong and durable option, whether being used on a patio, driveway or even on an indoor project, you can be sure you’re making the right choice which will, if looked after, last for years to come. 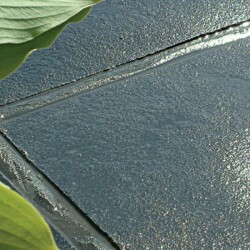 Unlike the riven look of sandstone, limestone paving has a flatter smooth finish akin to orange peel..